FUN PARENT GAME: PLAY WHACK-A-MOLE FEATURING YOUR KIDS EVERY - ProudMummy.com the Web's Community for Mums. 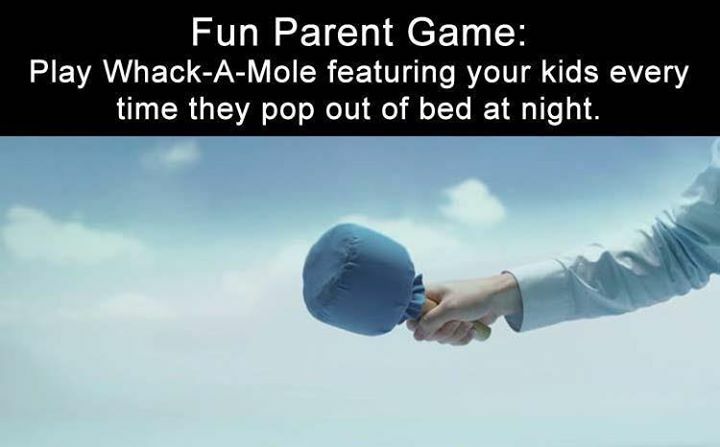 FUN PARENT GAME: PLAY WHACK-A-MOLE FEATURING YOUR KIDS EVERY TIME THEY POP OUT OF BED AT NIGHT. Cody Webb next time you get out of bed! Paul Palmer u can do this with Sophia!!!!! Mandie Boelen any good ?? Darren Lambert Robbie Lambert Jamie Williams. A slightly different game - you just would think it was funny to hit my real moles!! !